Karen Mulder is a former Dutch supermodel & singer. She was a successful model during the 90s and was vested with the title of ‘supermodel’ by the media. She has modeled for numerous luxury brands and has shared the runway with many of the Hollywood honchos. Her singing stint in the mid 00s was short lived. Mulder was born on the 1ST of June in 1970 in Vlaandinger, Netherlands and raised in Den Haag and Voorburg. Her father, Ben is a tax inspector and mother, Marijke, a secretary. She has a younger sibling by the name of Saskia. As a child, Mulder enjoyed sailing, swimming and singing. In 1985, Mulder went with family on a camping trip to south of France where she noticed Elite Model Management’s ‘Look of the Year’ contest in a newspaper. A friend of Mulder’s sent her nomination along with some of her photographs she had without Mulder’s knowledge. Mulder was shortlisted and she not only won the preliminary rounds in Amsterdam but went on to be placed second in the context. Thus, began her career on the runway. 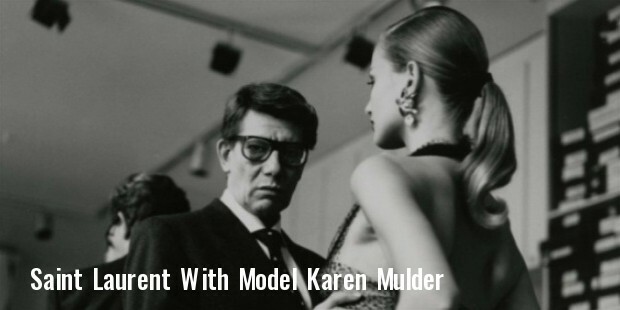 By her second year as a model, Karen Mulder had already begun modeling for the brands such as Valentino, Lanvin, Christian Lacroix, Versace, Yves Saint Lauren and Giorgio Armani. In 1991, at the age of 21, she signed a contract with the American upscale luxury brand Guess. Mulder frequently appeared on the cover of British Vogue and bagged a contract with Victoria’s Sceret. She worked with the greatest fashion photographers such as Peer Lindbergh, Bruce Weber, Patrick Demarchelier and Arthur Elgort. She retired from the ramp in 2000. Karen also tried her hands in acting and debuted with the French Short film, A Theft, One Night in 2001 and enjoyed a short singing career stint later. She released her single CD, titled Karen Mulder in 2004. Mulder reached the height of her career during the mid-late 90’s where she appeared in campaigns for Calvin Klein, Ralph Lauren, Chloe, Revlon, Gianni Versace, Guertain, Jacques Faith and Gianfranco Ferre. The ravishing model had one among the initial Top Model issues dedicated entirely to her- in fact a whole issue of the reputed Italian Vogue was devoted to the great supermodel. Mulder married French photographer Rene Bosne in 1988, at the age of 18. Her marriage fell apart by 1993 & they divorced in the same year. 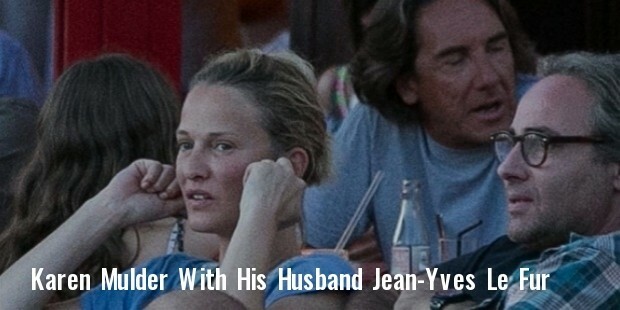 The very year, she met Jean-Yves Le Fur, a real estate developer, at Paris airport and the two got engaged shortly. She gave birth to her daughter Anna, on 30th October, 2006. In 2007, after a break, Mulder briefly returned to the runway at the Dior Autumn/Winter 07/08 Couture Collection in Paris. Quite a successful model that she was in her heydays, Karen was covered by some of the most esteemed fashion magazines throughout her career. She was one of those stellar supermodels to share the ramp with big shots like Naomi Campbell, Cindy Crawford, Kate Moss & Claudia Schiffer.